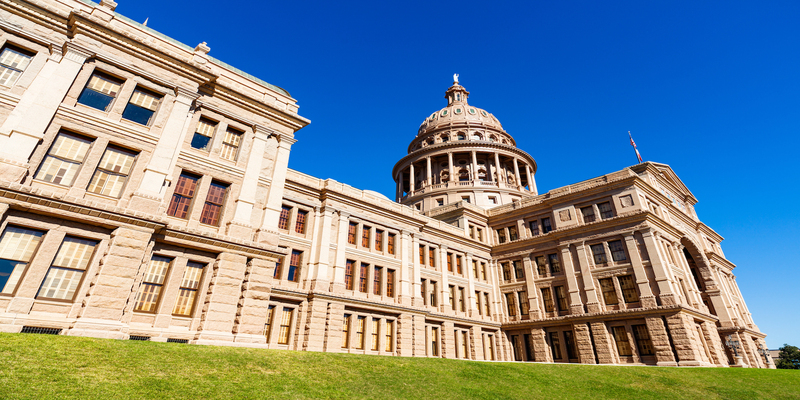 Over the course of the Texas Legislature’s 85th regular session lawmakers had tense debates about some issues, however they worked together diligently to produce a set of mental health-related bills that could greatly improve behavioral health care in our state. Bold, game-changing legislation passed and sent to Gov. Greg Abbott could make Texas a national model in how to provide, fund and evaluate mental health services. In recent years, Texans and their elected representatives have become increasingly aware of the human and financial costs of untreated mental health and substance use problems. They’ve also become aware of how common mental health needs are. According to a survey commissioned by the Meadows Mental Health Policy Institute, about 75 percent of Texas voters have a friend or family member who has experienced a mental health need. Epidemiological surveys report that one in five Texans has a mental health need — but many can’t find or can’t afford effective treatment. This untreated or undertreated mental illness is a tremendous financial burden on local governments. Texas counties incur more than $2 billion in jail, hospital, and emergency room costs each year due to unmet mental health needs. In fact, mental health and mental health crises are the number one issue county jail operators face, according to the Sheriffs’ Association of Texas. Lawmakers concerned about mental health care have been working on the issue since the end of last session. House Speaker Joe Straus created the Select Committee on Mental Health in November 2015 and appointed Reps. Four Price, R-Amarillo, and Joe Moody, D-El Paso, as chair and vice chair, respectively. The committee’s charge was sweeping: Develop a plan to reassess the state’s approach to mental health care. Committee members studied every aspect of mental health systems in Texas and produced a comprehensive report that showed, for the first time, how all the pieces of the system interact and how to reform them to improve care. Sen. Jane Nelson, R-Flower Mound, who leads the Senate Finance Committee, previously combed through state agency budgets to identify each tax dollar allocated to mental health, identifying $3.1 billion in Medicaid money spent on behavioral health. That figure had never been calculated before. When she added the Medicaid spending to the amounts expended on behavioral health from other sources, she found that Texas spent more than $6.7 billion on behavioral health in the 2016-17 biennium. For the first time, lawmakers — and the public — knew exactly how much the state spends on behavioral health. Thanks to her leadership and commitment to improving behavioral health access, along with the help of her colleagues on House Appropriations and Senate Finance, the 85th Legislature increased mental health funding to $3.6 billion for Medicaid/CHIP and almost $7.2 billion across all articles. Sen. Charles Schwertner, R-Georgetown, Rep. John Zerwas, R-Richmond, and Rep. Sarah Davis, R-Houston, in particular, played critical roles in championing behavioral health funding through the health and human services article of the state budget. Here is a sample of the behavioral health-related bills that have passed both chambers and await the governor’s signature. House Bill 10 strengthens the state’s ability to ensure that health insurers provide comparable benefits for mental and physical health issues. Rep. Price authored this bill and Sen. Judith Zaffirini, D-Laredo, sponsored it in the Senate. HB 13 provides matching grants to communities to fill gaps in mental health services. This is another bill authored by Rep. Price that grew out of the work of the Select Committee on Mental Health. Sen. Schwertner was the Senate sponsor. HB 337 by Rep. Nicole Collier, D-Fort Worth, aims to reduce recidivism and save money by suspending Medicaid benefits during confinement in county jails, and in most cases, reinstating benefits upon release. Sen. Jose Menendez, D-San Antonio, sponsored it in the Senate. HB 1600 by Rep. Senfronia Thompson, D-Houston, provides reimbursement for adolescent mental health screenings at Texas Health Steps annual medical exams. Sen. Kirk Watson, D-Austin, was the Senate sponsor. Senate Bill 74 by Sen. Nelson helps children with serious behavioral health needs by streamlining a complex state credentialing process so more providers can bring services to high-needs children. Rep. Price was the House sponsor. SB 292 creates a matching grant program for local communities to help reduce recidivism, arrest and incarceration among individuals with mental illness. Sens. Joan Huffman, R- Houston, Nelson and Schwertner worked together on this bill and Rep. Price sponsored it in the House. SB 344 by Sen. Royce West, D-Dallas, allows licensed paramedics, who are trained health care professionals, to provide transport to mental health facilities in cases deemed safe by the peace officer. This was a collective effort by law enforcement, Sen. West and Rep. J.D. Sheffield, R-Gatesville. SB 674 fast-tracks licensing for psychiatrists who want to move to Texas. Sen. Schwertner authored this bill to address the state’s severe shortage of practicing psychiatrists. This bill could help Texas attract experienced, licensed physicians in good standing with their previous state’s regulators. Rep. Sarah Davis sponsored this bill in the House. SB 1326 improves how those with mental illness proceed through the criminal justice system. A committee of the Texas Judicial Council found that diverting people with mental illness out of jail and into treatment is more humane and cost-effective than repeated arrests. This bill, by Sen. Judith Zaffirini, D-Laredo, incorporates some of those judicial committee’s recommendations. Rep. Price was the House sponsor. SB 1849, also known as the Sandra Bland Act, makes key changes for those with mental illness who are in law enforcement custody, including better screening for mental illness, a focus on diversion into treatment for low-level offenses, and the ability to access mental health professionals at the jail through telemental health services. Sen. John Whitmire, D-Houston, and Rep. Garnet Coleman, D-Houston, championed this legislation. Texas’ crumbling state hospitals will soon see additional funding. Senate Bill 1, the state budget, includes $160 million for critical repairs and deferred maintenance at existing state hospitals and state supported living centers. The budget also includes $300 million to plan and execute new state hospital construction projects, which would allow Texas to start a long-delayed modernization of its state hospital system. In a tight budget session, it’s heartening to see that lawmakers are prioritizing much-needed funds for our state hospitals. This Texas Legislature came together and stayed together on behavioral health matters to improve the Texas state of mind. The Meadows Mental Health Policy Institute is a nonpartisan, nonprofit organization that supports the implementation of policies and programs that help Texans obtain effective, efficient mental health care when and where they need it. The Institute&rsquo;s vision is for Texas to be the national leader in treating people with mental health needs.